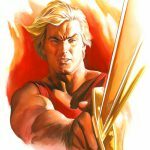 alimera! So, you’re thinking about visiting the magnificent city of Parga, Greece? Parga is beautiful and there are various things and places that you can visit and experience while you’re staying here. The people are friendly, the scenery is breathtaking and you won’t go bankrupt as a result of the prices either! If you’re interested in reading facts about Parga, be sure to check out the Wikipedia page of the city! The first thing that you need to know about Parga is that it’s not a city that’s famous for parties and the nightlife. Rather than catering to younger, party-hungry visitors, the city is more family oriented. You can still find bars with slightly intoxicated seniors boogieing to the greatest hits of the 80’s and 90’s, but don’t expect anything wild. If this isn’t a deal breaker for you, you’re sure to have a fantastic time! Grab the hand of your loved one and explore what this Greek city has to offer! In the next section, we are taking a closer look at the top 6 things to do in Parga, Greece on your next visit! he beach on Parga is nice, but it cannot be compared to Valtos beach. It is only a few minutes away from the center of Parga. You have two ways to get to Valtos from Parga. The first one is taking the trip by foot, going through the narrow streets filled with bars, street food vendors and souvenir kiosks. This trip takes about 15-30 minutes to get to Valtos, but keep in mind that the streets are steep. The easier method is hopping onto one of the boat taxis that go from Parga to Valtos (and vice-versa) every half an hour. This trip costs only 2 euros per person and it will take around 2-3 minutes. 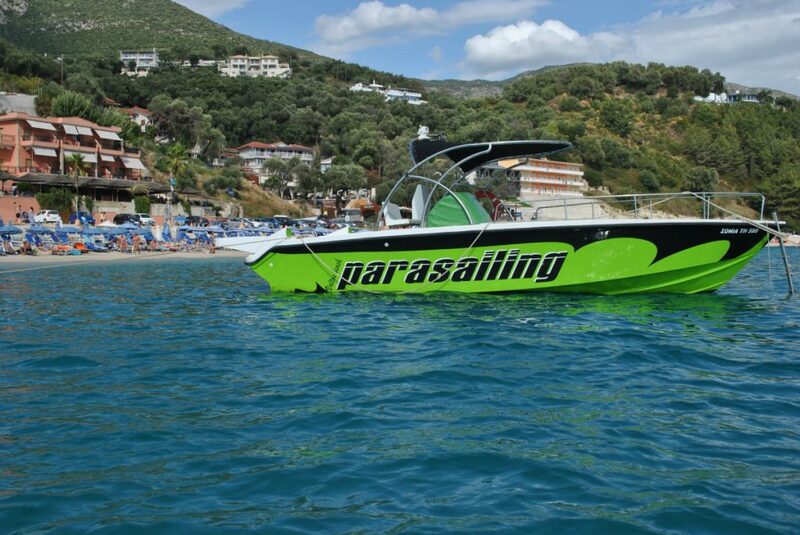 If you choose the boat taxi, you can also see the Caste of Parga from the sea, which is quite magnificent in its own. The taxi departs from the main port on Parga, next to the giant anchor that’s in the middle of the city center. 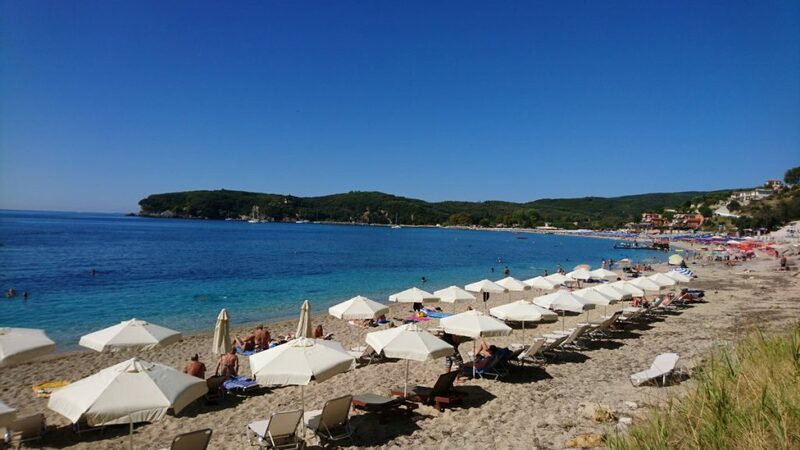 Once you get to Valtos, you will realize why so many tourists choose this beach over the one in Parga. The beach itself is around 3 km long and the sea is crystal clear. Along the beach, there are sunbeds and umbrellas that you can rent out for a day. Two sunbeds plus an umbrella costs anywhere from 6 to 10 euros, depending on where you choose to stay. From personal experience the section in front of the Tango Bar is the best. If you get hungry or you just want to drink a coffee, beer or a soft drink, the staff at Tango Bar is more than happy to help you out. The prices are okay and you can even choose to drink your hot or cold beverage right next to the beach. elaxing and sunbathing isn’t the only thing that you can do on Valtos beach. Along the coast, you will see signs that indicate that you can try one of the extreme water activities that they’re offering. The list is extensive and you can choose an activity depending on how adrenaline-hungry you are. Some of the activities that you can partake in are water skiing, water boarding, parasailing, something called the Crazy UFO, and many other things. Aqua-Speed is also a popular choice and you will regularly see people zooming across the waters, beyond the buoy that’s places in the sea. If you are looking for something less extreme, you can always choose to rent a small boat and explore the waters that way. You can rent a boat for a whole day (100€) or for an hour too. Additionally, pedalones (12€/hour), water tubes (12€/hour), stand up paddle boards (12€/hour) and canoes (5€/hour) can also be rented. You can hardly miss the signs that show the prices and the name of the business; “WATERMANIA”. They even have a huge sign and a floating base of operations near the shore. Take a quick break and check out what other people had to say about Valtos Beach on Tripadvisor.com, one of the best online guides for any destination! f you ever go from Parga to Valtos or the other way around, you are sure to see the entrance of the Castle of Parga. Even before you enter this abandoned and somewhat ruined castle, you already get an amazing view of the Parga dock and the city center. You can sit down in front of the entrance and rest before continuing your adventure. The entry is free, but there are signs every few meters, saying that you are entering the Castle of Parga on your own responsibility. As soon as you go in, you will realize why these signs are necessary. The Castle is somewhat in ruins and the path up to the top is almost non-existent. You will almost have to go into hiking mode, but it’s nothing like getting up to Anthousa Castle (we will talk about this later). As you can see from the picture, you won’t miss the castle. It can be seen from Parga, Valtos and even from the sea. The vantage point that the castle offers is great for taking breathtaking photos or simply to enjoy the scenery. Not only that the whole of Parga city can be seen, but from the highest point of the castle, you can take in the beauty of Valtos beach too. If you skip out on the other castle that we’re mentioning, the Castle of Parga should definitely be on your bucket list! f you visit Greece (Parga in particular), you MUST try the local cuisine. 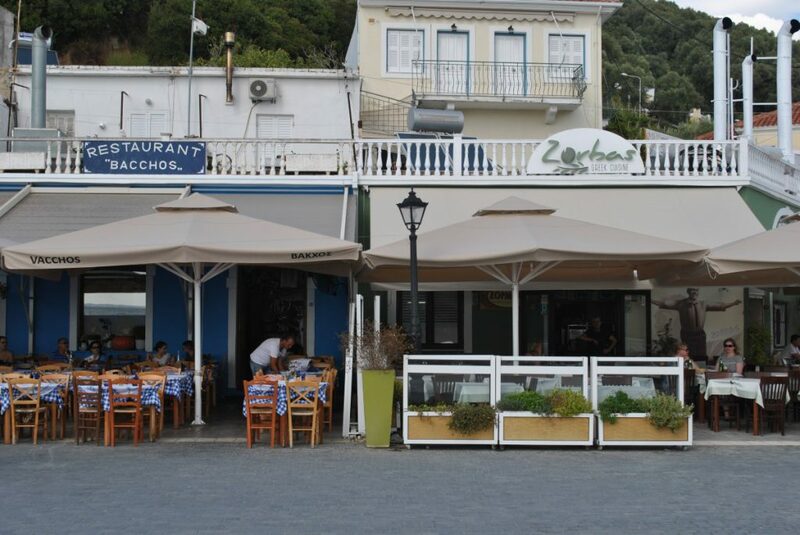 There are many good restaurants in Parga, but two stand out from the rest; Restaurants Bacchos and Zorbas. These two establishments are located next to one another, at the corner in Parga, after the bay. Not only are they located next to each other, but they are also very similar (the atmosphere, the look, as well as the prices). Just like Parga in general, dining in these restaurants is not expensive at all. For example, grilled meat or fish mix for two persons will cost you around 20€. And you get more than enough food for two people. They also serve traditional Greek foods, such as Moussaka, Souvlaki (skewered grilled meat), Greek doughnuts, Tzatziki, and of course, Gyros. Their menus are extensive and you can order many things, such as soups, pastas, pizzas, fish and a whole lot more. Both restaurants have a friendly staff, very Greek atmosphere and finger lickin’ good dishes. You will undoubtedly feel like you’re in Greece because of the traditional music that’s playing in the background. There are even songs that make the whole restaurant get up and dance in a circle. Don’t get alarmed if you hear plates breaking either, as this is part of the Greek celebration. Opa! Additionally, I would highly recommend visiting Flavors, a coffee, crepes and snack bar that’s around the corner, after the above mentioned restaurants. This is a small business that’s run by a Greek family. Everybody who works there is super-friendly and the whole ambience is quite comfortable. Even though this is a rather small bar, their menu is surprisingly lengthy. They make waffles, toasts, burgers, salads, breakfasts and seemingly anything else that you would want. 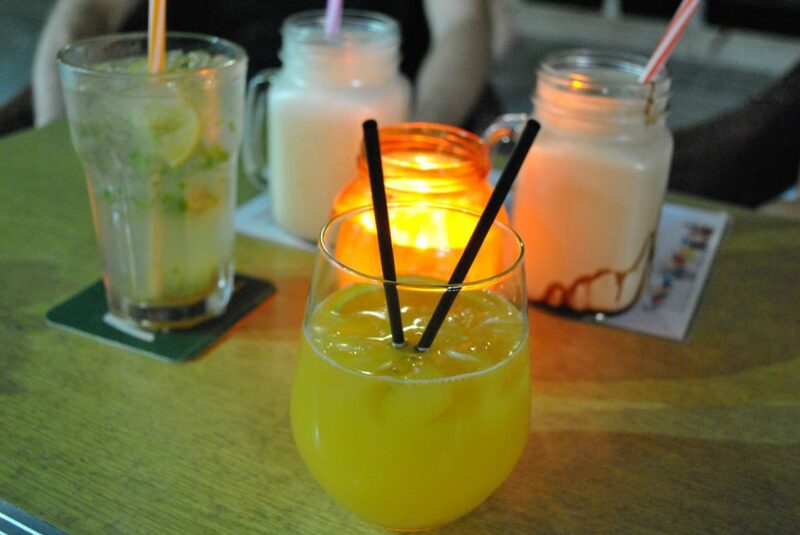 You can also order hot or cold beverages; they sell milkshakes, smoothies, fresh juices and all types of alcoholic drinks. All of the prices are lower than what you would expect at a fancier bar (such as Geoker Bar). The staff at Flavors also makes plenty of different cocktails and all of them cost 5€, regardless of the ingredients. There’s a separate menu with two pages of mixed drinks to choose from. All of the drinks have their ingredients listed. ven though Parga is a beautiful place, you still have the option of spending one of your vacation days somewhere else. There are numerous travel agencies scattered around the city and you will undoubtedly cross paths with at least some of them. You can choose from various travel destinations, but one of the most popular places to visit from Parga are the Ionian Islands, Paxos and Antipaxos. The ferry departs from Parga bay in the morning and you will spend the whole day exploring the magnificently beautiful cities and caves that surround the islands. The trip starts with visiting Loggos and Lakka. Here, you can spend a couple of hours swimming or simply journeying through the port cities. Next, you will make your way to the two Blue Caverns; Galazio Spileo and Ortholithos. This is a great opportunity for you to take some amazing photos of the caves and the deep blue sea that surround them. Once you go through all the small caves, the boat will stop for about an hour. This is when you can freely swim or jump into the deep water from the sides or from the top of the boat. The next destination is Voutoumi on Antipaxos. This is the somewhat deserted island that’s right next to Paxos. The last stop on the trip is the main port of Paxos, Gaios. Here, you will spend a couple of hours eating in one of the local restaurants or going through the city and exploring it. After Gaios, the boat will start heading back to Parga and your trip will come to an end. 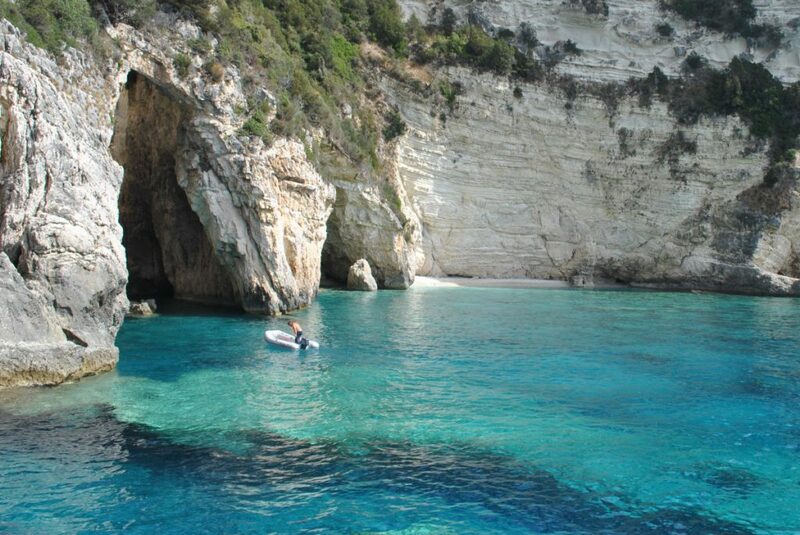 If you’re still craving information about these Ionian Islands, be sure to check out the Wikipedia page of Paxos and Antipaxos by clicking here! The last destination on our list of things to do in Parga, Greece is The Anthousa castle. 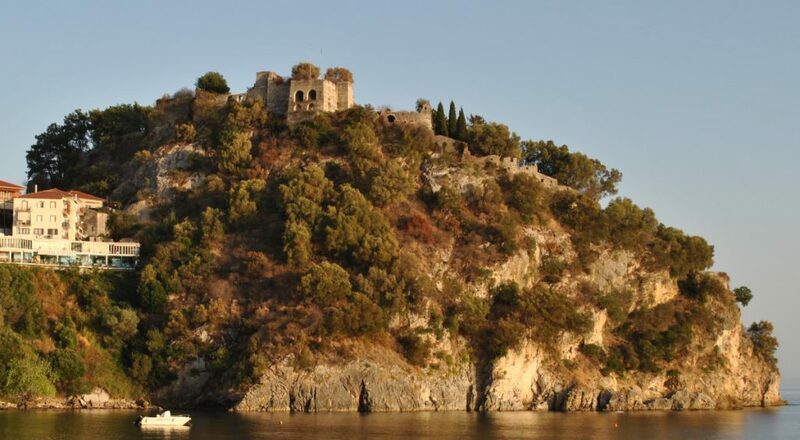 The Anthousa castle, aka the Ali Pasha Castle is located between Parga and Agia. It’s on top of a tall hill overseeing the nearby land. It was used as the base of operations by Ali Pasha. He built it to oversee the siege on Parga and the nearby villages. The castle was a great defense point because of its high vantage point and towering walls. Today, the castle is kept in pretty good shape (somewhat better than the Castle of Parga) and it serves as a tourist destination. Tourists can behold the amazing scenery that can be viewed from the castle’s battlements. You can see Parga, Valtos beach, the nearby villages and small houses, as well as the Ionian Sea as far as your eyes can reach. Now, the tricky part is getting up to the castle. 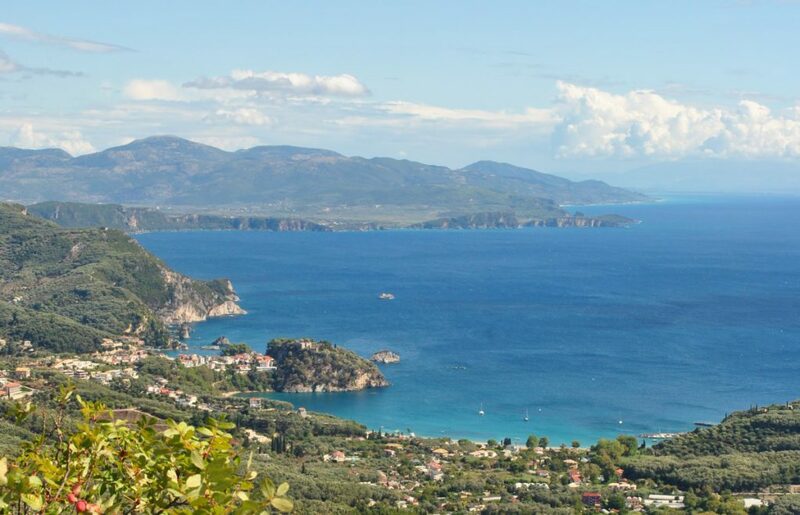 The first and easiest way is to take the “toy train” tour that departs from Parga. This costs 8€ per person and it’s an approximately 2 hour trip. The other method is renting a car or a scooter and following your GPS to the castle. Of course, this is not adventurous enough for many people. Those who want a journey should go by foot, starting their trip from Valtos Beach. You can constantly see signs that point you in the right direction, every few hundred meters. You can also ask the locals or fellow tourists for directions too. The road is very steep (a lot steeper than the Parga – Valtos one) and it’s quite challenging too. This trip is hard, but it’s very rewarding. You’ll feel great once you’ve conquered the road to the castle, but remember, you have to get down somehow too. Along the path to the Anthousa Castle, you will encounter a small watermill with a bar that serves hot and cold beverages. There’s also a cute waterfall that you can gaze at if you choose to follow that path. arga is a gorgeous city that has a lot of nice scenery and friendly people to offer. If you can, I highly recommend visiting this magical place and experiencing everything that I’ve mentioned. These were the top 6 things to do in Parga, Greece. Additionally, there are other destinations that you can go to on your trip to Greece too. For example, the island of Corfu is also very popular amongst tourists. Visiting Achilleion, the palace built by Empress of Austria Elisabeth of Bavaria, also known as Sisi is spectacular in its own. The palace has been turned into a museum of Greek mythology and it welcomes hundreds of thousands tourists each year. If you want to find other noteworthy places in Greece, be sure to check out our list of the top 6 Greek dream destinations during the crises.